With less than six weeks to go until the start of Crowdsourcing Week Global 2016, here is a quick snapshot of five things you should definitely know about our five-day event. Whether you are a speaker, partner, attendee or thinking about joining us, here are a few points that should get you thinking…and talking. With a great theme, comes great spark. We’ve finely tuned this year’s Global Week theme to reflect both a realistic understanding and positive ambition connected to all things crowdsourcing. With “Great Challenges, Massive Opportunities” the main theme, Crowdsourcing Week Global 2016 participants will learn the value of crowdsourcing, discover the great challenges across sectors and the crowd-driven approaches that leverage them into opportunities that will be mutually beneficial for organizations, consumers, and communities. How we can generate new avenues of participatory revenue, tap into participatory business models, and engage and empower participation in communities. The CSW Global 2016 agenda covers actionable topics in crowdsourcing, collaborative innovation and crowdfunding that are increasingly required to thrive in the new economy. Whether crowdsourcing is a term that’s sparked your curiosity or a practice you use every day, the sessions will inspire you with new ideas, insights, and skills to understand and embrace the crowd economy into your organization. #Colab: Warning, highly collaborative. These interactive sessions involve hands-on learning. #Breakthrough: Case studies of corporate breakthroughs achieved by tapping the crowd. #HotTopic: Top experts explain the biggest trends just around the corner. #Accelerate: Ways to rapidly grow, scale and accelerate by harnessing the crowd. 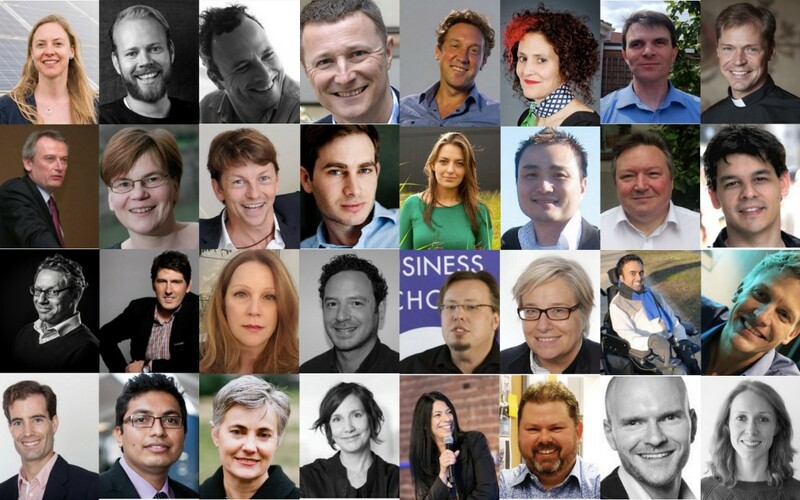 To date we have announced a growing listing of 32 speakers across each of our five days. The expertise is as diverse as the knowledge is vast within the variety of respective fields. From advisors to CEOs, from authors to researchers, from initiators to company presidents, you’ll hear a broad range of topics set within the world of crowdsourcing. In the coming weeks we’ll be publishing more articles from our Speaker Spotlight Series, the first of which can be read here. The series is a compilation of answers we’ve posed to our speakers, acting as a little taster of what’s come when they take the stage at Global Week 2016. The rich heritage of our venue for Global Week 2016 dates back to 1848. Located in the heart of Central London, Regent Street Cinema is a landmark building and institution for anyone with a soft spot for the history of London cinema and theatre. During its history the cinema has played host to the plays of Charles Dickens, musicals and in modern times a lecture theatre. Following the closure of the cinema facilities in 1980, celluloid made a comeback under the roof of the venue in 2015, following a three-year fundraising campaign to restore the space to its former glory. Fully refurbished to the grandeur of the “birthplace of British cinema,” everyone who walks through its doors during Global Week 2016, will marvel at the art deco features restored from the cinema’s first renovation in the 1920s. Interestingly, the cinema puts a great deal of focus into community engagement with the goal of creating “an inclusive atmosphere and forum for learning, discussion and creativity, open to all walks of life,” making it the perfect venue to host Global Week 2016.